Encouraged by the successful introduction to Lunasol eyeshadow palettes (Beige Beige), I got four more. I bought Icy Glow with extra confidence, too. It is a cool-toned gray smoky palette with pinkish highlight colors and a gorgeous taupe, which looked like an easy one. However, for some reason it took a while for me to appreciate this palette. You get six shades that differ in tone and texture. I think that having many colors in one palette might have killed the fun for me initially. Is the creamy white a base or a glossy top coat? (I'd never wanna put it on my brow bones.) Where do I place these two light shades that look only slightly different from each other? And the same question for the darkest ones. I would have to find a way to put all of them on together, otherwise what is the point? Such pressure. So, the first color is what makes the palette "Glossy". This is a silicon-based cream shadow with iridescent shimmer. 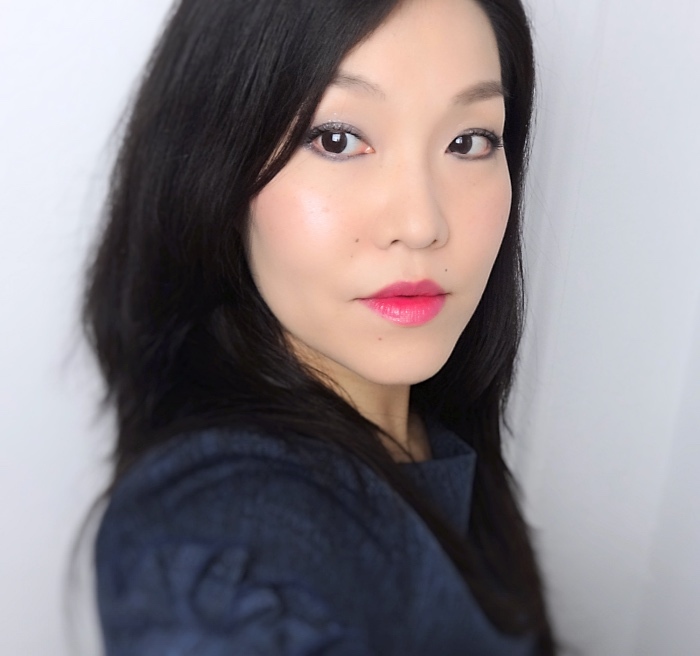 Lunasol describes as a "glossy base", and I also find it works best that way. Charcoal gray could look harsh and somewhat dry (although everything in this palette has this lovely, almost creamy quality) and this base softens the whole thing. 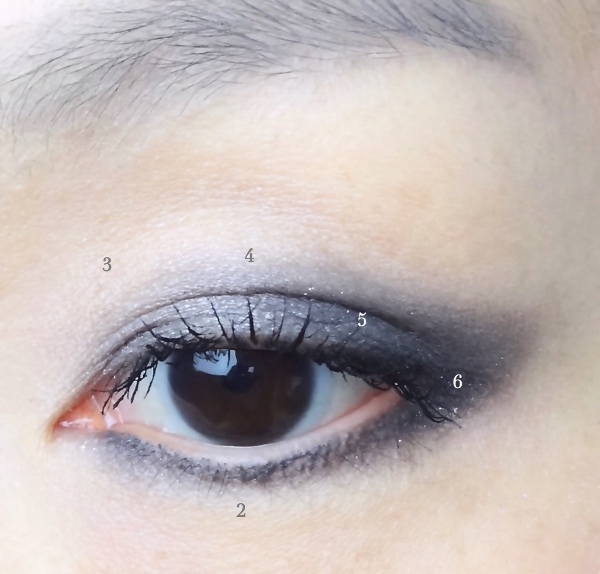 It never really sets dry, which could be problematic depending on how oily your lids are. Mine are getting drier so I appreciate the effect, but I find the colors don't last as long if I use the glossy base. 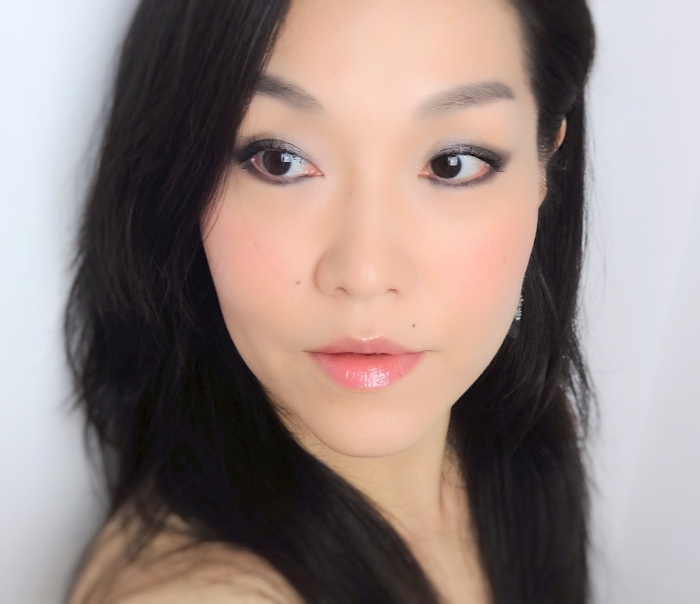 Icy Glow is best to use for full-on smoky eyes, and I pretty much went with classic placements here. 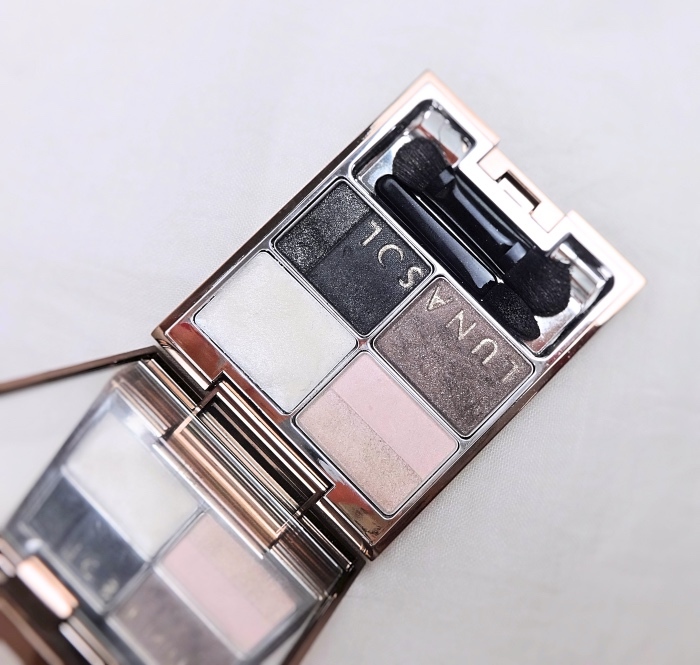 The eyeshadows blend seamlessly, so there is freedom to do whatever you feel like to do. I put together a lighter version that goes well with brighter lips. I frequently reach for Icy Glow but find it most difficult for me to pull off amongst the five Lunasol palettes I own (the others are just so easy to wear). Still, it is an excellent choice if you're in the market for a cool gray palette. The seamless blendability and the thoughtful color composition makes my effort to hunt down a discontinued palette rather worthwhile. Oh, hi, Sofia! I wondered who this "unknown" person was. G+ is a tricky weird thing, eh? Thank you, Rowena! :) I generally prefer cool-toned shades but I find some gray very difficult to wear. Icy Glow is better than most, I think? 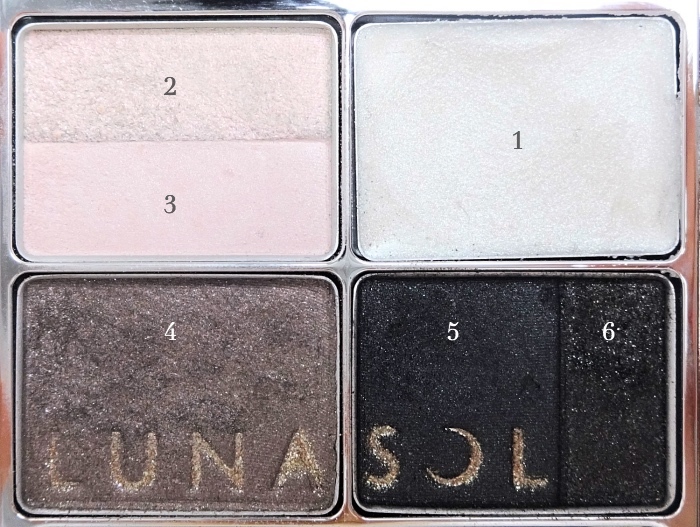 You'd enjoy Lunasol eyeshadows. They apply very well with almost any tool (including fingertips) and blend like a dream. You rock these gray tones! The deeper shades in lunasol palettes (especially pigmented and deep one) really intimidate me since I can't do those usual slap on and go gradation with those...Nice to see that the brand doesn't only do sheers. Thanks, Mina. ;D I understand what you mean. I still would like at least one deep shade that is dark and pigmented enough to substitute eyeliner. I recently bought Coral Coral and felt that a liner shade was missing (still a gorgeous palette!). Ooh I love the smokey eye look on you! I would seriously be so confused with the similar looking shades. I do like the creamy quality and they seem to blend really well together though. You've fallen into the Lunasol rabbit hole I see, and you look lovely :-) They closed down their only miserable counter in my STATE so I don't even know what's new anymore. Hate it when brands do that. Urgh! Oooo I was sooo close to picking up a lunasol palette when I was in bangkok's duty free section! I love the light shades, 1,2,3 that you've labelled. I love those shades for the inner corners and even as an underbrow highlight. 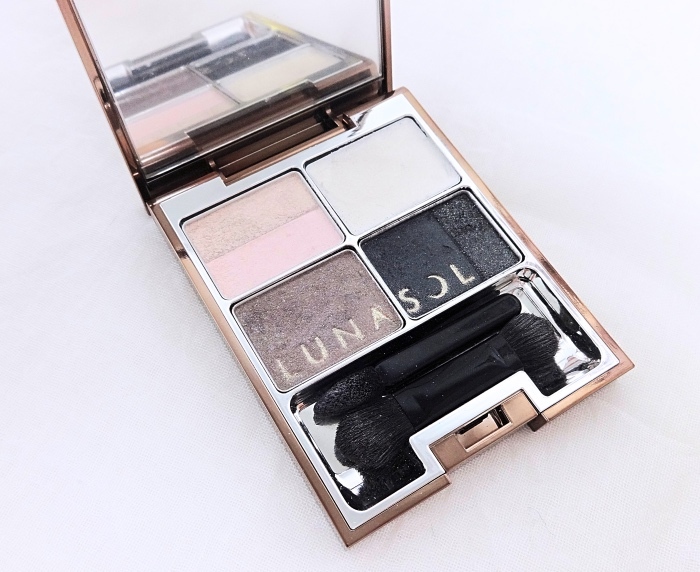 Yes, Almost all Lunasol palettes contain those pretty iridescent light shades that look so pretty on the inner corners of the eyes! They are not super-pigmented but blend very well and make great staples.